Good morning, I split last week between Houston and Washington, D.C., and they felt world's apart — and one big reason is what's laid out in my latest column. I'll share that, and then Axios' Ben Geman will you get you up to speed on the rest of the news. President Trump and congressional Republicans are increasingly outliers in an otherwise emerging consensus across America that climate change is a problem and that the government should pass new laws to address it. The big picture: The shift has been underway for the last couple of years, driven by investor pressure, growing public concern and mounting scientific urgency. In the last several months, the fervor around the Green New Deal is accelerating this shift and accentuating Republicans’ isolation and their internal divisions — as a handful of Republicans break ranks and acknowledge the problem is real. The intrigue: The juxtaposition was on stark display last week. I spent the first half of last week at a major oil and gas conference in Houston, where virtually all executives acknowledged climate change as a pressing issue and a few, including CEOs of major oil companies like BP and Equinor, implored the industry to do more and embrace big policy changes. The second part of the week I was back in Washington, D.C., where Republican leaders of House committees held a press conference to criticize the GND but didn’t discuss policies they would pursue instead of it. 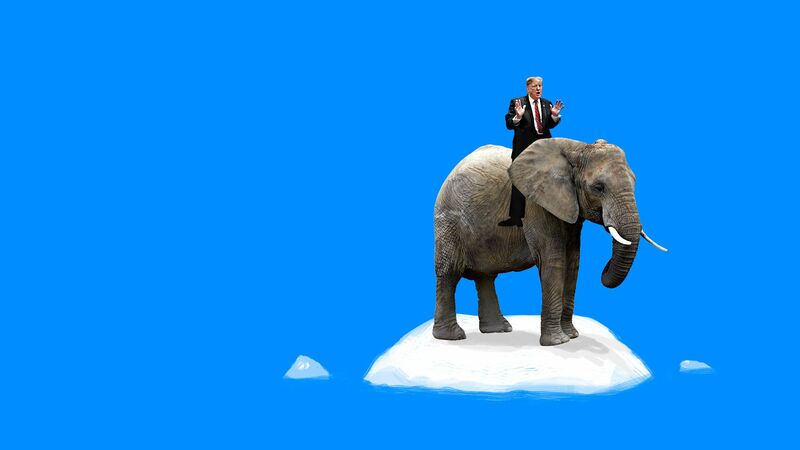 Where it stands: After a decade of either questioning or ignoring climate change, some Republicans are slowly beginning to discuss the issue. But for now it's mostly rhetoric and it's not enough to convince the majority of the party, and especially Trump, to change their views. For now, most of the rhetoric appears to be in response to Democrats controlling the House — which means they get to hold hearings. The loudest voices in the Republican caucus are those that make inflammatory or bizarre statements, such as likening the GND to genocide and responding to a question about climate change by explaining photosynthesis. Between the lines: Those remarks aside, a fundamental difference persists between what most congressional Republicans say should be done about climate change versus almost all other leaders: mostly status quo with incremental bills versus more sweeping policy changes. Republicans say what they’re supporting now — relatively narrow bills on topics like carbon-capture technology, hydropower and nuclear power — is sufficient. Bigger policies that could more substantially reduce emissions are unpopular with most conservative lawmakers: a price on carbon emissions, regulations or subsidies. Matt Sparks, spokesperson for House Minority Leader Kevin McCarthy, said: "Conservatives are leaning into the debate on our future. ... But whether it is a carbon tax or Green New Deal, the conventional conversation in Washington today has impacts that hurt working Americans." Generate readers know about the drama over White House moves to gut Obama-era auto mileage rules — an effort the industry supports, even though they're calling for a less-aggressive rollback. But, but, but: Axios' Joann Muller and Jonathan Swan have a good piece that looks at the broader and very complex relationship between Trump and Big Auto. Trump seems to have spent more time thinking about cars than any other industrial sector, per aides past and present. Why it matters: The combination of Trump's auto policies, notably his trade posture, are breeding uncertainty for automakers at a time when they're making investment decisions on electrification and autonomous tech. Where it stands: Trump wants to restore American auto manufacturing to what he considers its mid-20th-century greatness, according to aides. But his ideas for saving the industry are creating angst for its top execs. Over many months, Axios has interviewed industry executives about Trump's policies and other sources who've discussed the auto industry with the president. The big picture: As with most relationships, it's complicated. Automakers hated being used as political punching bags during the 2016 campaign — Trump berated Ford, for example, about building cars in Mexico and often got his facts wrong. After the election, they were generally pleased by Trump's attention to their issues, but not always with his actions. Corporate tax reform was a welcome boost, but then his steel and aluminum tariffs wiped out much of their tax savings and drove up car prices. Economists predict a sales downturn this year. Breaking Monday: "Oil producer group OPEC on Monday scrapped its planned meeting in April and will decide instead whether to extend output cuts in June, once the market has assessed the impact of U.S. sanctions on Iran and the crisis in Venezuela," Reuters reports from Azerbaijan. Why it matters: The momentum against a nearer-term decision is a nod to the moving pieces in the markets, emerging reports from the OPEC+ meeting suggest. Via S&P Global Platts, Saudi Energy Minister Khalid al-Falih said: "Inventories in the OECD and the US continue to fluctuate. ... Our goal is to bring global inventories down to normal levels. We need to proactively protect against a glut building in the weeks and months to come." Investors have never responded as negatively to a debut of a new Tesla product as they did after last week's Model Y event — as seen in the Bloomberg chart above, Axios' Courtenay Brown writes. Shares fell 5% on Friday — the worst ever post-event performance for Tesla, Bloomberg reports. Deutsche Bank analyst Emmanuel Rosner called the event "somewhat underwhelming with no major surprises." As Joann points out, Tesla said "nothing about where it will build the Model Y or how it will afford the capital investment the new model will require." Quote"I did turn to him one day and I said, 'Mr. President, how many coal miners do we have in the United States and how many solar-panel installers do we have?'" Who said it: Former White House economic adviser Gary Cohn, speaking on the Freakonomics podcast. The context: Cohn says he made the comment in the internal battle over putting tariffs on solar panel imports. Cohn opposed the move but lost the battle. Why it matters: The snippet shines on a light on the behind-the-scenes energy policy formation at the White House, and Trump's preference for trying to prop up coal even though power sector trends are moving away from the fuel. What they're saying: Cohn said he emphasized to Trump that there are now several times more panel installers than coal miners in the U.S.
"It’s an industry that’s going to continue to grow. And we have to recognize where this country is going, not where this country has been," Cohn said he told Trump. Axios Expert Voices contributor Maggie Teliska explains the significance that Disney World in Orlando flipped the switch Feb. 27 on a new 50-megawatt solar farm, which produces enough electricity to power 10,000 homes. Why it matters: Amusement parks and resorts consume lots of energy during the day at peak hours. Installing renewables in a visible way not only reduces carbon emissions, but also displays a commitment to sustainability to park-goers. By the numbers: Built in collaboration with Reedy Creek Improvement District and Origis Energy USA, the farm comprises 518,000 solar panels and sits on a 270-acre plot adjacent to Disney’s Animal Kingdom. It will generate 50 megawatts to power two of the four Orlando resort properties annually, or 25% of the entire Disney property. The project is expected to reduce greenhouse emissions by 57,000 tons, tantamount to removing 9,300 cars from the road. 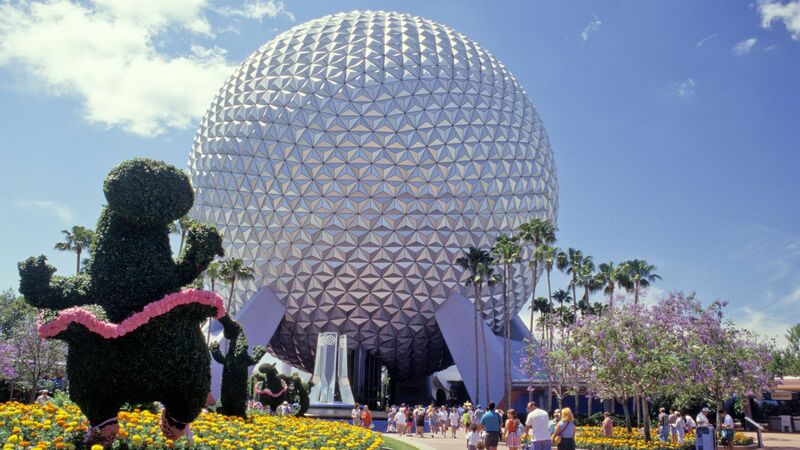 What’s next: Disney has launched initiatives to reduce emissions in its organization to 50% of 2012 levels by 2020. Other theme parks are announcing plans to use renewables, including Six Flags Great Adventure in New Jersey, which aims to open the first solar-powered theme park in 2020. Teliska is a technical specialist at Caldwell Intellectual Property Law, an intellectual property law firm, and CTO of Regent Power. She's also a member of GLG, a platform connecting businesses with industry experts.